Man I have been super busy with classes and haven't been drawing as much as I should be. In my character design class we've been working on backstory and plotting for the most part and have finally moved to drawing. 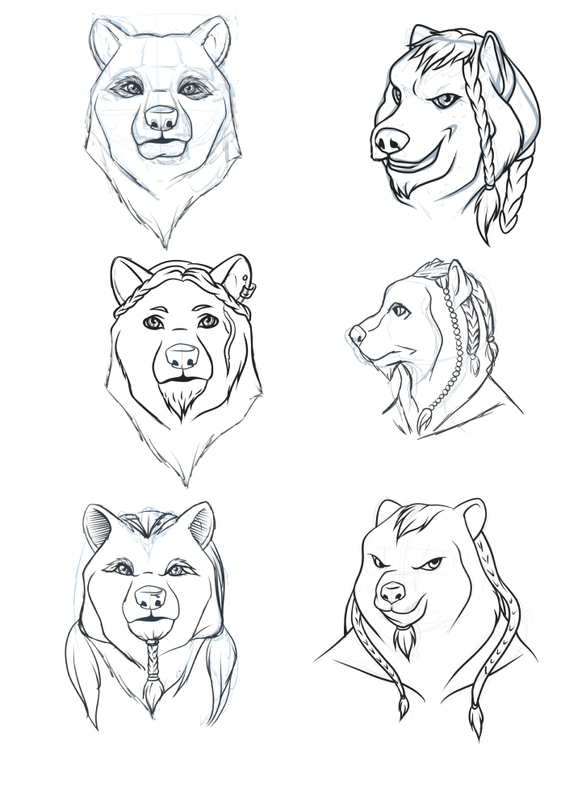 These are some of my first exploratory sketches for Ilmarinen, a god from Finnish mythology. I'm doing an anthro version of the forging of the Sampo. Gonna be working on some full figure roughs of him tomorrow, and hopefully get some comic art out as well. Feel free to share your thoughts and tell me what you wanna see more of!